I have a latest version of Online banking project which has lots of features compare to free version. If you are interested then please email me @ tousifKhan510@gmail.com for further discussion. 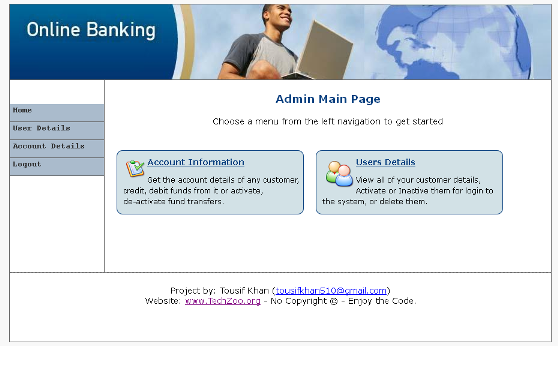 I had uploaded “Online Banking project” in java around few years before on techzoo and it become an overnight hit post. It’s the most visited post on my blog and people (especially student) email me about it, ask queries about its setup, etc. To continue my efforts to provide a good quality projects for students who want to learn, today I am going to share one more “Online Banking project” in PHP. 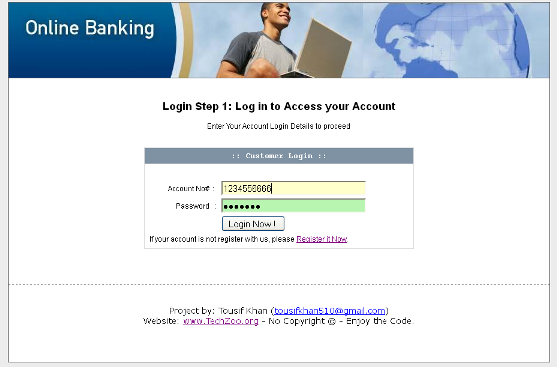 Multi-stage user authentication: User login using account number, password then need to enter PIN for authentication. Fund Transfer: Support domestic/International fund transfers. OPT support: One Time password (OTP) is being sent to user email id to proceed with Fund transfer. User can change Account PIN/ Password. Transaction summary / Account statement. 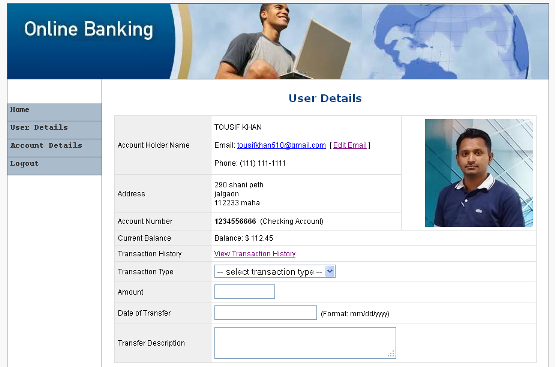 New user can register Online account, admin need to activate account to use internet banking. Admin can activate/de-activate user account. Admin can block/approve user fund transfer. 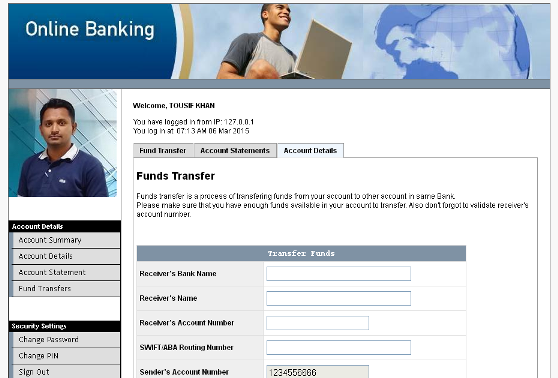 Admin can credit/debit funds to user account through check/draft. Admin can edit user email id, and view user transaction history. Admin can delete user. In this case, user will no longer able to login in internet banking. Note:My free projects are like free speech, they are free for all to download. But if you need support or have a customization request then be ready to pay for it.